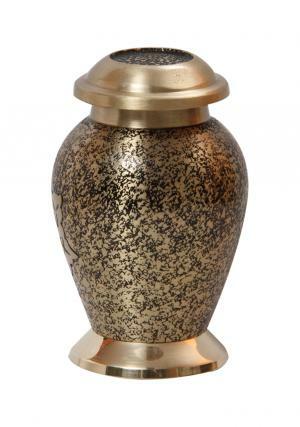 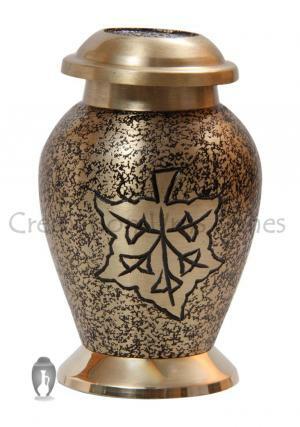 Small brass keepsake funeral urn is hand printed to show the falling leaf on the brushed solid brass urn decorated from the hands of skilled artisans. 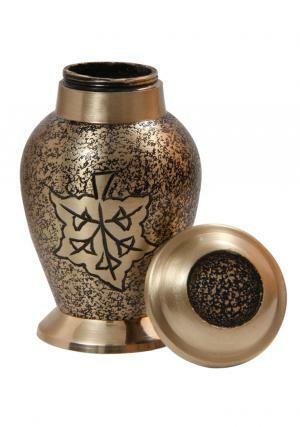 Small memorial urn for ashes has a spread out sprinkled black coating finished on the outer surface of the urn. 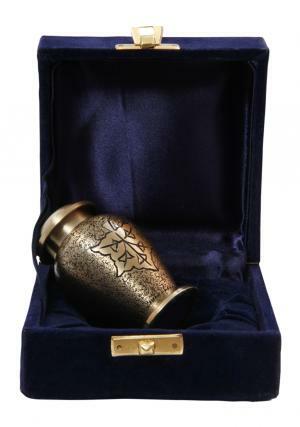 The keepsake urn for ashes is solidly made for storing small amount of ashes and brings comfort when closer to you. 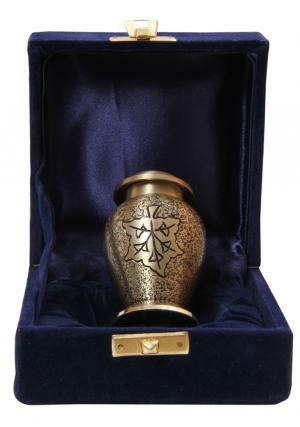 The mini cremation urn is prescribed to store 3 tablespoons or 3 cubic inch of ashes that measures 2.95” inches tall and 1.97” inches width. 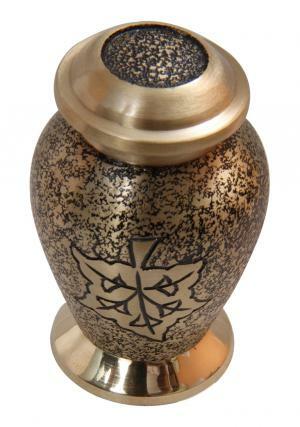 The ashes container weighs around 0.2 Kg with a secure threaded lid on the top for insertion to preserve ashes of the demised.